The definition of a bisector is something that cuts an object into two equal parts. This "something" is usually a line or a segment. What is an angle bisector? The angle bisector definition tell us that this is when a line divides an angle into two congruent angles. These congruent angles can help us determine useful information from different figures. 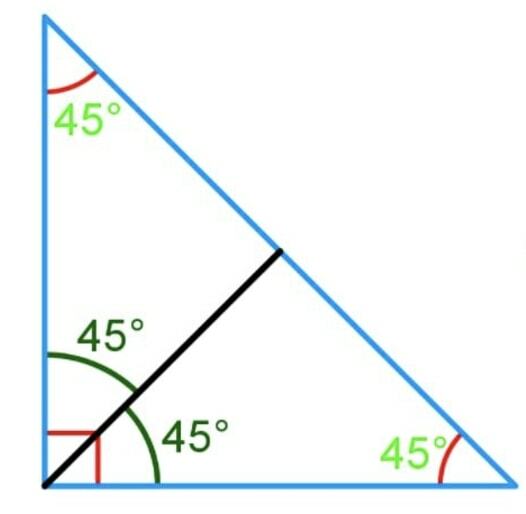 The figure may be a telling us to find the angle bisector of a triangle, but it could just be an angle itself that&apos;s not enclosed by a triangle. The angle bisector theorem tells us that if a point is on an angle bisector, it is then equidistant from the sides of the angle. The reverse is also true in that if a point is equidistant from the sides of the triangle, then it is on the bisector of the angle. There are certain steps to follow to help you properly draw an angle bisector. We&apos;ll run through them with you here. Firstly, draw an arc centered at the vertex of the angle you&apos;re trying to bisect. It must intersect (that is, cross) both sides of the angle, but can be any length. Let&apos;s call these two sides where the arc intersects the figure AAA and BBB. Then, draw two more arcs. Each of these arcs will respectively be centered with points AAA and BBB. These two arcs must have the same radius and must intersect one another at point CCC. For the third and last step, draw a line that crossed through the vertex and point CCC. When you&apos;re done this, you&apos;ll find the angle bisector for your angle, which is the line that runs through the vertex and point CCC. You&apos;ve bisected an angle! Let&apos;s try what we just learned on some example problems. Draw the angle bisector of angle HIJHIJHIJ. Then, measure and record the two angles made by the angle bisector. First, measure angle HIJHIJHIJ. 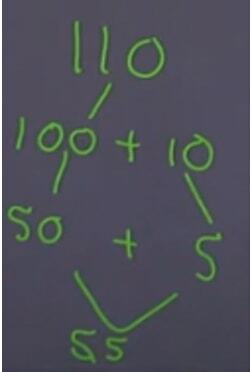 In the video, we get 110110110 degree. Then divide 110110110 degree by 222, giving us 555555 degree. Sarah is getting ready to start quilting a new blanket. She has cut a triangle out of the fabric as shown below. Now, she wants to cut the triangle in half. Show how she can do this using an angle bisector. We want to cut the triangle in half using an angle bisector. First, we need to determine which angle in the triangle to use the angle bisector. In order to cut the triangle in half, the 909090 degree angle is the one to cut so that it will give us even shapes after we bisect it. 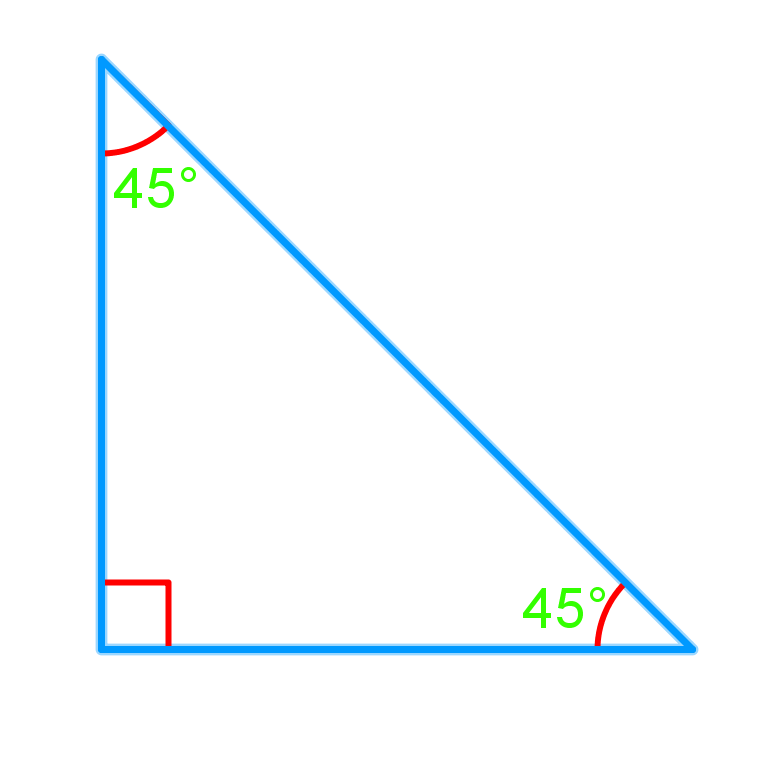 So we measure the right angle and cut it right at 454545 degree with the angle bisector. We can cut the triangle exactly in half. If you wanted a proof of the angle bisector theorem, here&apos;s a good interactive demo that allows you to drag points around to change the angle and see what happens to the angle bisector. Feel free to take a look at perpendicular bisectors and parallel plus perpendicular line segments to further solidify your understanding of this lesson. In this section, we will learn how to draw angle bisectors. An angle bisector divides an angle into two equal parts. First, we will be given an angle and asked to measure it using a protractor. Second, we will divide this angle measurement in half and then mark and label the halfway point. Next, we will use a ruler to draw a line segment from our labelled halfway point to the angle we are bisecting. This line segment is our angle bisector. Finally, we mark the resulting two equal angles with the same symbol. Angle bisectors can be found everywhere in the world around us. For example, angle bisectors are found in tent poles, kites, as well as in the structural supports of buildings and bridges. How to use a protractor? What is an angle bisector? Draw the angle bisector of ∠\angle∠HIJ. Then, measure and record the two angles made by the angle bisector. 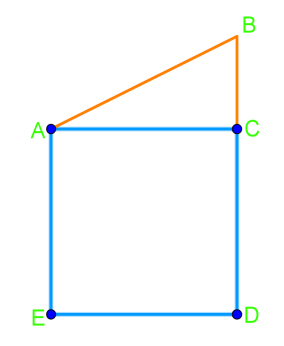 The roof of the house below (represented by triangle ABC) needs a support beam that is the perpendicular bisector of AC. 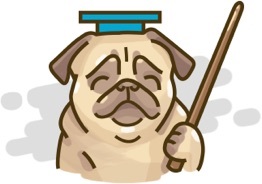 Draw the support beam so that it extends from the bottom of the roof to the top of the roof.